John Carmack is a monster name in the gaming industry. He's a pioneer, a legend. John co-founded id software and help create such games as Wolfenstein 3D, DOOM, QUAKE and many others. He's been a driving force in gaming for over 25 years, specifically in the area of 3D. So perhaps it shouldn't surprise us that he's leaving id Software to help with what foks are saying is the future of 3D gaming - the Oculus Rift. The Oculus Rift is a VR Headset that many say, myself included, will finally usher in virtual reality that's been promised many times over. It's a device I was fortunate enough to try out at E3 2013 and it was definitely as impressive as I've heard. 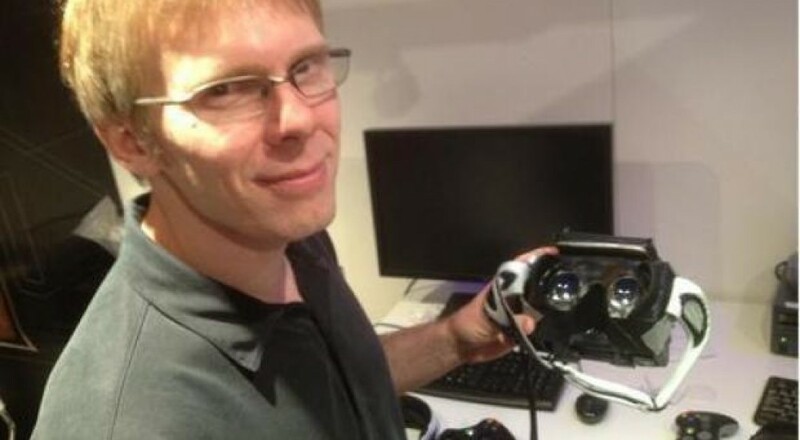 John Carmack has been somewhat involved with the Oculus since it was seen on Kickstarter one year ago, but now his role has just become more official. Carmack isn't completely leaving id Software, but his role joining Oculus as CTO in their new Dallas office will definitely limit his time. Here's what Carmack himself had to say. The Oculus Rift is looking to become a full fledge consumer device in the near future. Their development kits have been in the hands of game developers for many months and the full prototype with a 1080p display was available at E3 2013. While pricing and release date haven't been determined just yet, the Carmack acquisition has the potential to be a huge game changer. Page created in 0.9295 seconds.